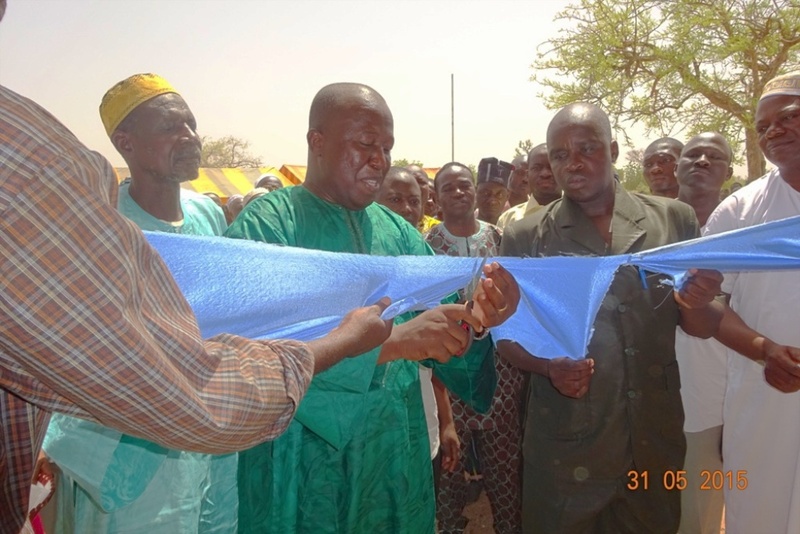 The Burkinabe government strives to provide teachers wherever primary schools exist. 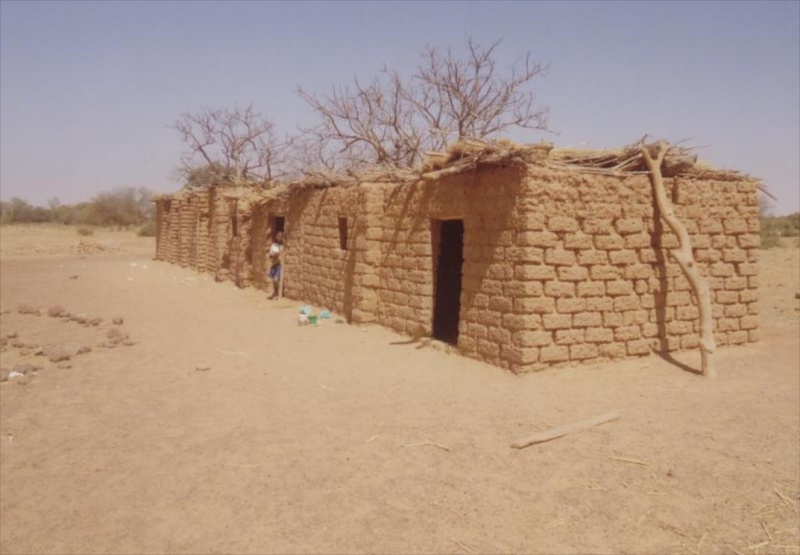 In response to this incentive, villagers in the north of Burkina Faso have built over 300 primary schools out of mud and thatched roofs. Unfortunately, the government lacks resources to replace more than a few of these village schools with durable schools built with cement-block classrooms, metal roofs, doors, windows; latrines; deep bore wells, and pumps. Association NEEED is committed to replacing the “worst of the worst” of these schools with durable ones, as funds allow, in order to improve school environments. In 2012, FBF has contributed to the construction of primary schools in the villages of Dougouri Ouidi and Koénéba, thanks to a generous donor. 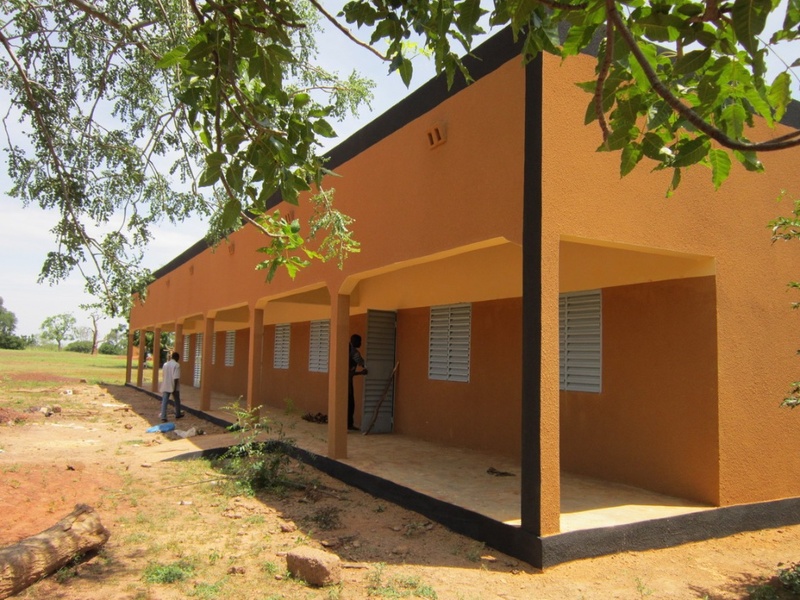 In 2015, it was able to fund the construction of the primary school Talle Bouli, again thanks to a generous donor. Newly constructed primary school in the village of Koeneba. Old school built out of banco and thatch roof in Talle Bouli. Primary students at Talle Bouli's primary school.